Hi there! Today I have another recipe/food review for you all. 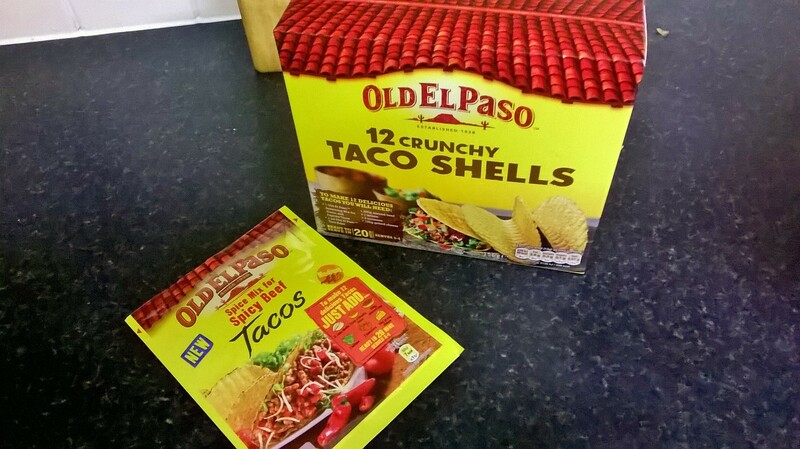 Another lovely thing from the Hull Bloggers meet was the Old El Paso meal kits. 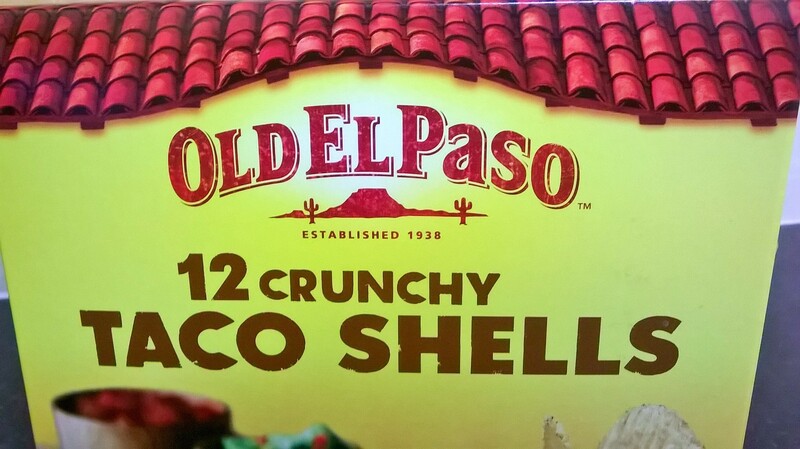 I LOVE the fajita one, and find myself eating it maybe once a week. 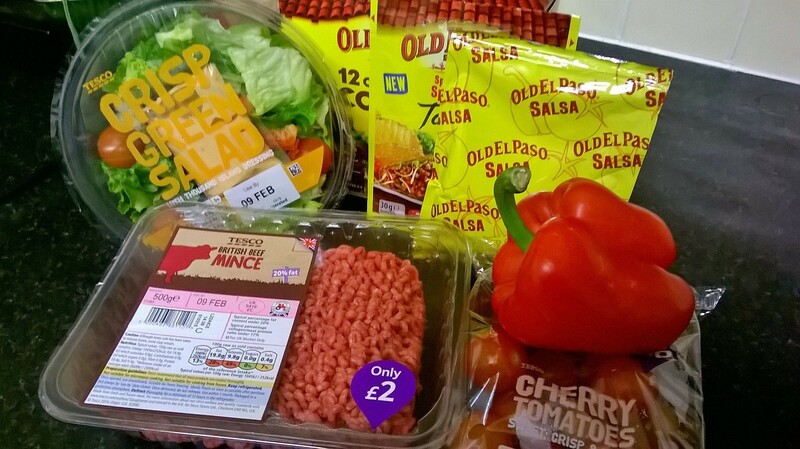 It’s a really easy meal, and I find it’s fairly balanced, having lean protein, fresh salad and vegetables and a helping of carbohydrates in one quick, easy meal. I usually skip sour cream, too, but if I am feeling like something creamy on my fajitas I’ll opt for low fat natural/greek style yogurt. These tacos offered something a little bit different. 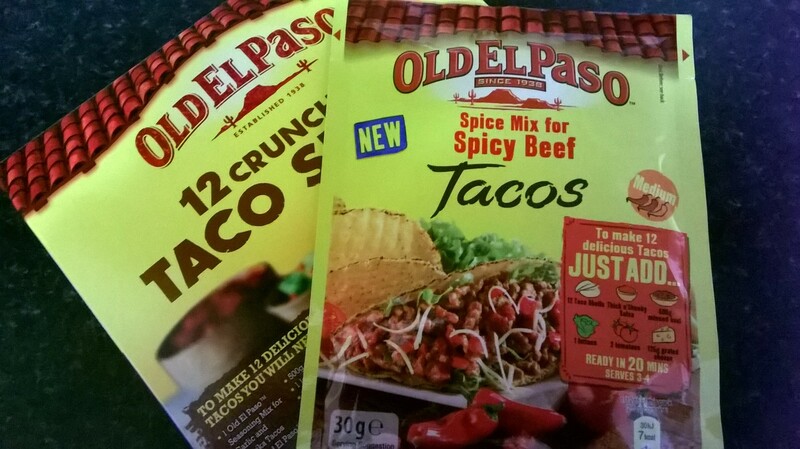 I received the spice sachet from the meet, but bought the taco shells from a supermarket. As expected they were really easy to make, and my boyfriend and I thoroughly enjoyed them. 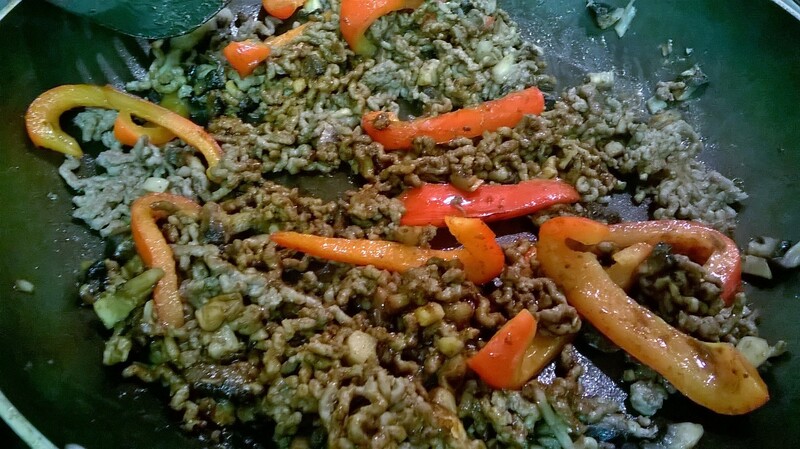 The packet called for 500g of minced beef to serve 3-4, so because there’s only two of us we opted to use 250g and add a good handful of roughly chopped mushrooms and half a chopped red pepper. 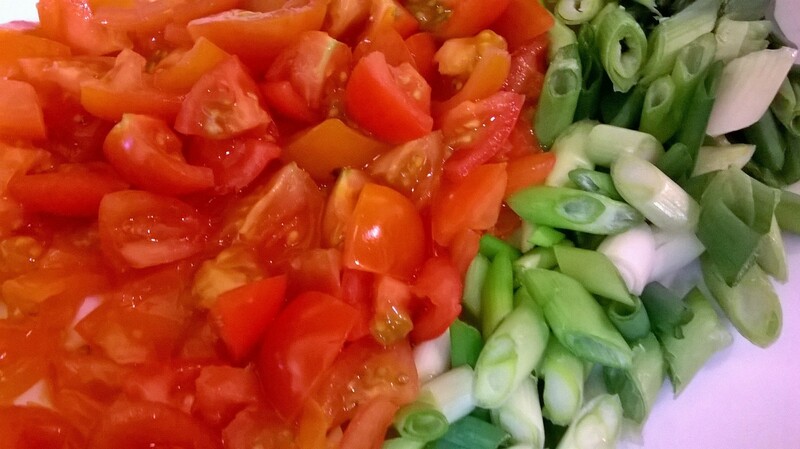 We also prepared plenty of chopped spring onions, cherry tomatoes and grated mature cheddar to top the tacos with. 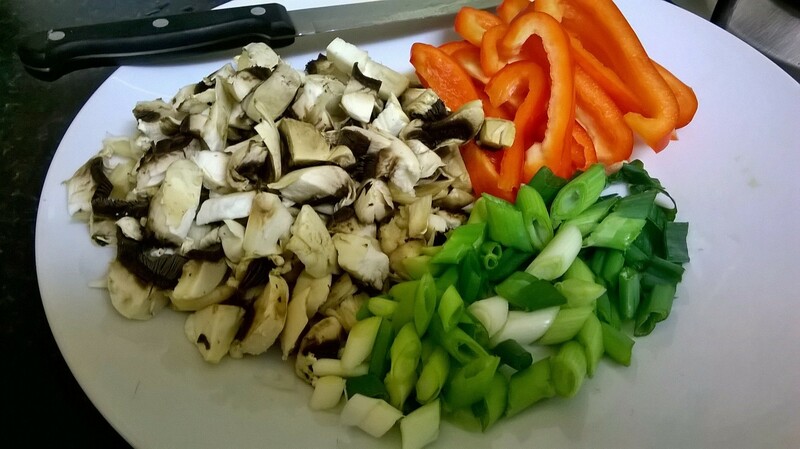 All we had to do was to brown off the minced beef in a fairly hot (but not smoking) frying pan, along with the chopped peppers and mushrooms. 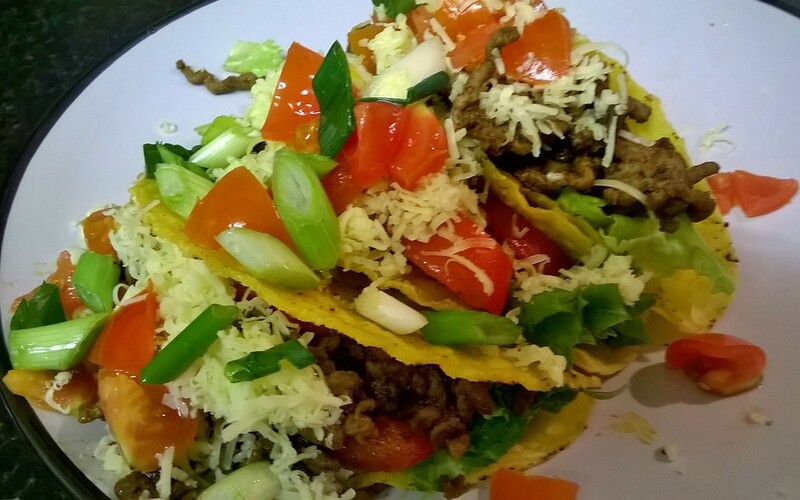 You then add the entire sachet of the spicy beef taco seasoning, stirring to combine the seasoning with all the ingredients. When nicely browned, add 100ml of water and turn down the heat. Allow to simmer and reduce to a thick, rich filling. And that’s it! All we had to do was assemble our tacos. We had three each, and found this more than enough. 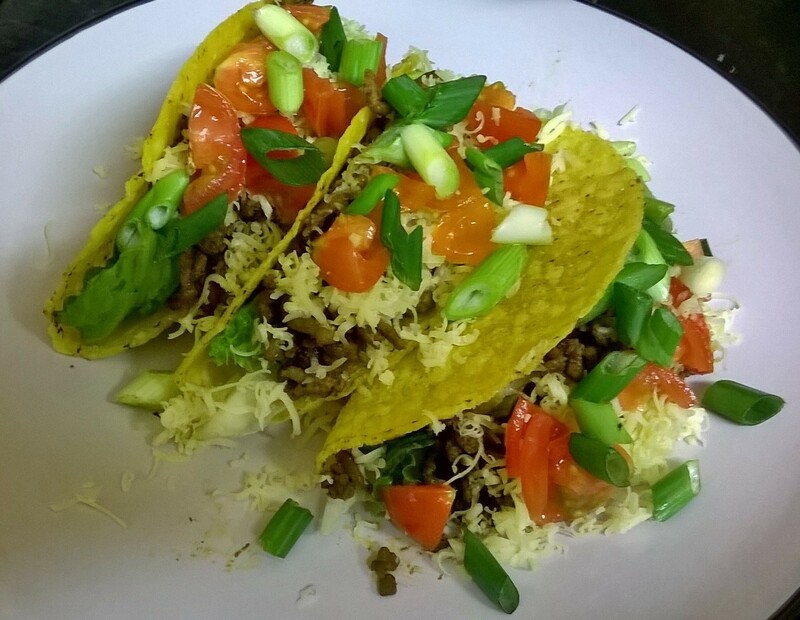 We used crisp green lettuce, taco filling, grated cheese and finally sprinkled a liberal helping of fresh tomatoes and spring onions on top. These were really lovely; spicy, but not overwhelmingly so by any measure. Just enough heat but with a full-flavoured, mexican style spice. I would repurchase, and think they’d make a great meal to gather everyone together around a dinner table. Perfect for sharing with your friends! I hope you’ve enjoyed this review, and let me know what you think of them if you get to try them! Thanks so much for sharing. Those tacos look so good!